After this week’s Nintendo Download I’m taking a short break to head to the Big Apple for a few days, but I’ll be back the following week, refreshed and ready to cover more gaming news. But let’s not get ahead of ourselves. 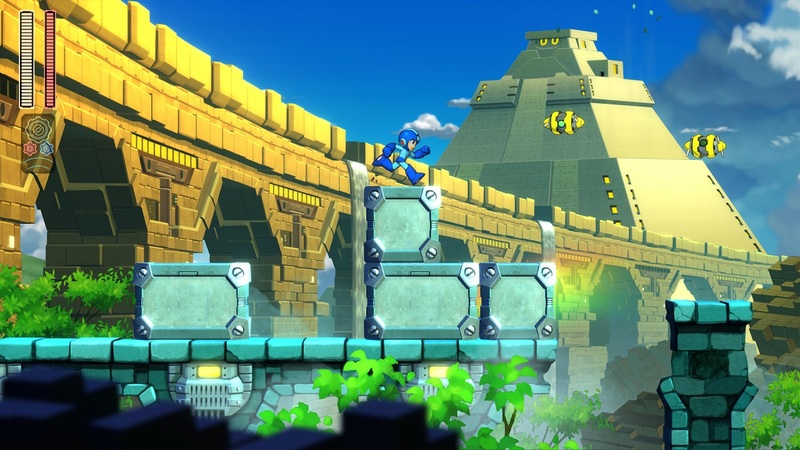 This week we’re mere days away from Mega Man 11, as well as some tempting sales, new activities and compelling digital offerings. So let’s see what’s worth trying out this time. You probably know by now that I’m a giant fan of the one and only Mega Man. Have been for ages. So it’s a bit of an understatement to say I’m excited for the release of Mega Man 11 on October 2nd. Not only will this be the first new Mega Man title by Capcom in what feels like forever, this one melds the challenge of 9 and 10 with the visual flair of 7 and 8. 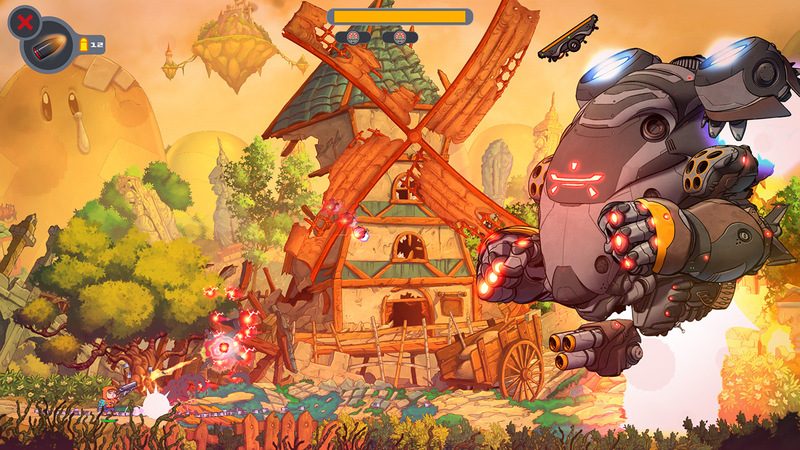 That might sound like an odd mix, but after demoing it at E3 and via the eShop, I’m confident it works. Stay tuned for my upcoming review of the latest in the classic series. 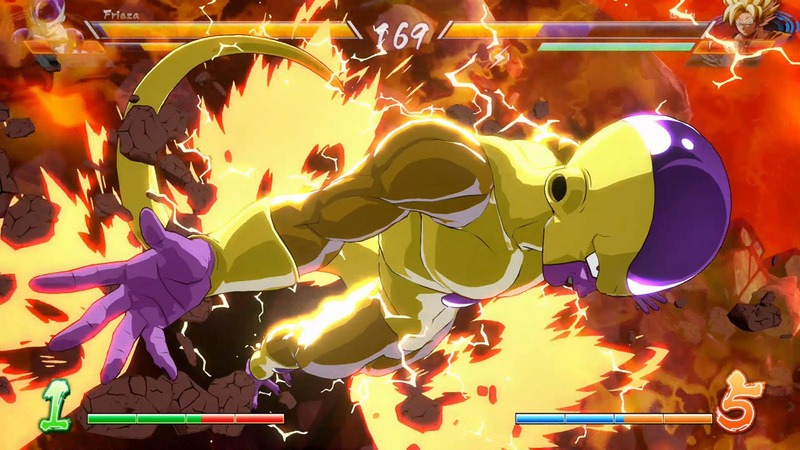 Also, if you’re a fan of screaming and beating the crap out of spiky haired foes, then you’ll probably love Dragon Ball FighterZ. I thought it was interesting when I played it, and now it’s right around the corner, officially releasing tomorrow. If you love playing with friends online, you may be interested in Fortnite. While I could care less, fans will likely be wanting to pick up the latest Battle Pass soon. And lastly, if you’re a big fan of Yo-Kai Watch, you can pick up either version of Yo-Kai Watch Blasters starting today. If you love an excuse to do more activities with your Switch, you’re in luck. There’s several options available to you today. Last Chance for the Xenoblade Chronicles 2 Offer! – We’re continuing the launch celebration of the Xenoblade Chronicles 2: Torna ~ The Golden Country game with two new rewards. You can redeem your points*** for a printable Nintendo Switch box art cover or a wallpaper featuring art from the game. Plus, don’t forget that My Nintendo members get free in-game items for purchasing the Xenoblade Chronicles 2 game by Sept. 30. Next up, let’s see what sales are worth checking out via the Game Guide. First up, if you love a rogue game that is equal parts insanity and longevity, you owe it to yourself to pick up The Binding of Isaac: Afterbirth+ (Switch) for the discounted price of $19.99; for a discount on a game I just mentioned last week, check out Think of the Children (Switch) for $10.39; for a stylish heist, The Swindle (Switch) is a good choice for $11.99; for insane poultry, Detective Gallo (Switch) is now $11.99; for Norse madness, try out Die for Valhalla! (Switch) now for $8.99; for pixelated horror, The Long Reach (Switch) might be a good option for $5.09; to sate your morbid curiosity, you can check out Fear Effect Sedna (Switch) for half off at $9.99; for the platformer fan that loves suffering, The End is Nigh (Switch) aims to please for $4.99; for a very unusual SHMUP, Transcripted (Switch) is worth $4.79; if you haven’t played it yet, VVVVV (Switch) is worth owning for only $4.99; Zelda fans might love Ittle Dew 2+ (Switch), now for $14.99; for a simple yet stylish game, Knight Terrors (Switch) is hard to say no to for $1.99; or if you prefer old school platforming, Tiny Barbarian DX (Switch) is a good call for $9.99; for a much simpler platformer, you might enjoy Kid Tripp (3DS) for $2.99; and lastly, for a fun puzzle game, look no further than Tumblestone (Wii U) for $6.24. The rest of the games can be found here. Lastly, let’s cover the new digital offerings. The following two are coming out next week. 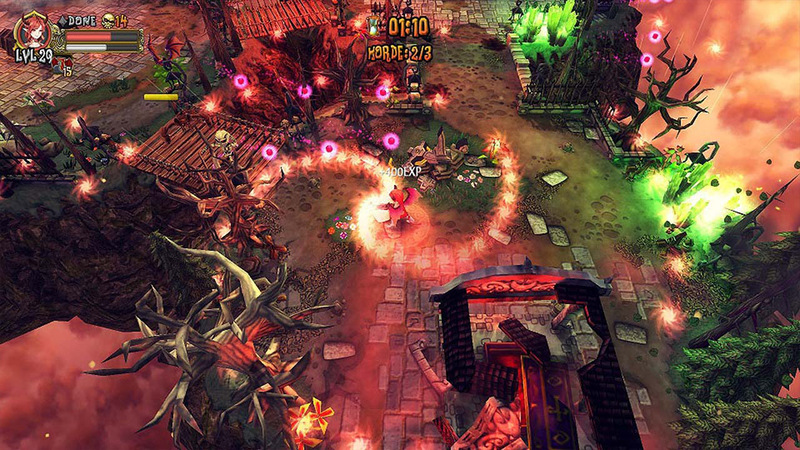 For the fan of quirky games there’s Monster Loves You. If you’re more inclined to enjoy RPGs, then be the principal of a school of heroes in Valthirian Arc: Hero School Story! Now for the stuff out this week. 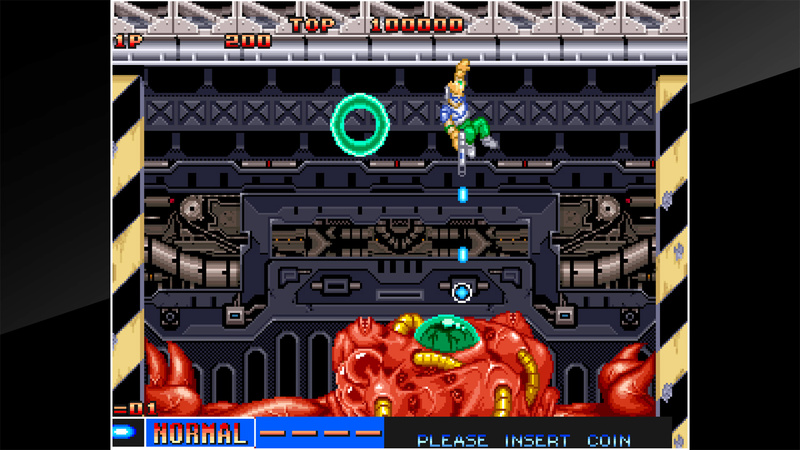 If you love retro, you’re really in luck this week with 4 offerings – ACA NEOGEO Cyber-Lip, Arcade Archives Excitebike and Sega Ages Sonic the Hedgehog and Lightening Force: Quest for the Darkstar. For multiplayer madness, you might enjoy these – TowerFall, Risk of Rain, Rooms: The Adventure of Anne & George and Armello. For platforming fun, players can try Alwa’s Awakening and Rise and Shine. For mysteries and puzzles, there’s Whispering Willows. Or for frantic twin stick action, there’s Demon’s Crystals. 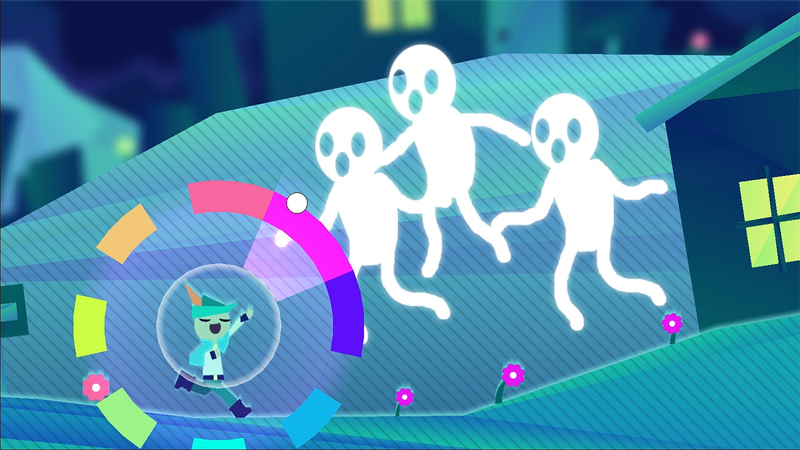 Finally, if you want to try something colorful and new, I recommend Wandersong (though you can always wait to read our full review first). Not a bad list at all. Enjoy the break next week and check back with us October 11th for the return of the Nintendo Download!